Struggling to find top talent to fill a direct placement? Hiring a permanent employee requires lot of time starting from preparing a detailed job description through finalizing the candidate, all while keeping up with your job. Partnering with IT America will help you to overcome challenges of hiring qualified talent to fill your permanent positions that can otherwise be complicated and time-consuming. 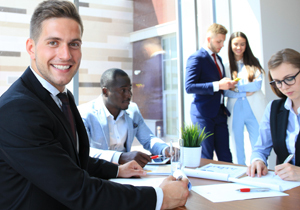 To find the right candidate, we begin with understanding your requirement, business flow, team dynamics, culture and what makes an ideal fit for your organization. Our experienced team of recruiters, with huge database of IT professionals in various technologies, identify candidates who have demonstrated good technical aptitude, analytical skills and interpersonal skills. As we are in constant touch with hundreds of professionals on day to day basis we are aware of what they’re paid, and what it takes to attract and retain them. With the help of the huge network we can produce right candidate within no time. Our technical team of experts perform thorough evaluation of the candidate through personal interviews and by executing written tests. Our background verification team by partnering with third party companies, conducts thorough verification of the candidates past employment history including reference checks, certifications and education, criminal, drug and credit checks.